Baltimore has 155 murders this year. 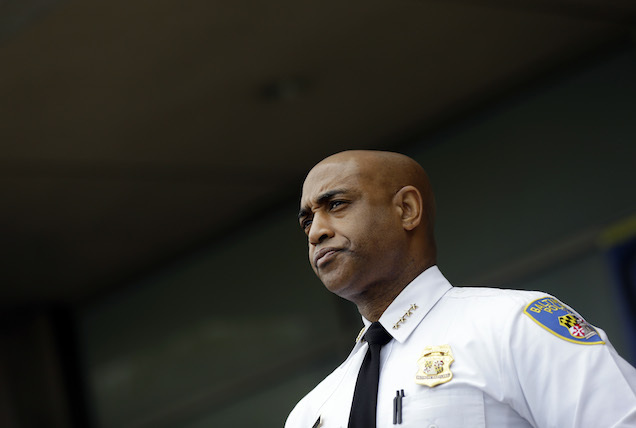 No reason was given for the firing, homicides in Baltimore are up 48 percent so far this year, according to the Associated Press. Earlier Wednesday, the city’s police union, the Fraternal Order of Police Lodge 3, released a critical report about the department’s response to the riots following Gray’s death, though Mayor Rawlings-Blake emphasized that her decision had nothing to do with the FOP’s findings.